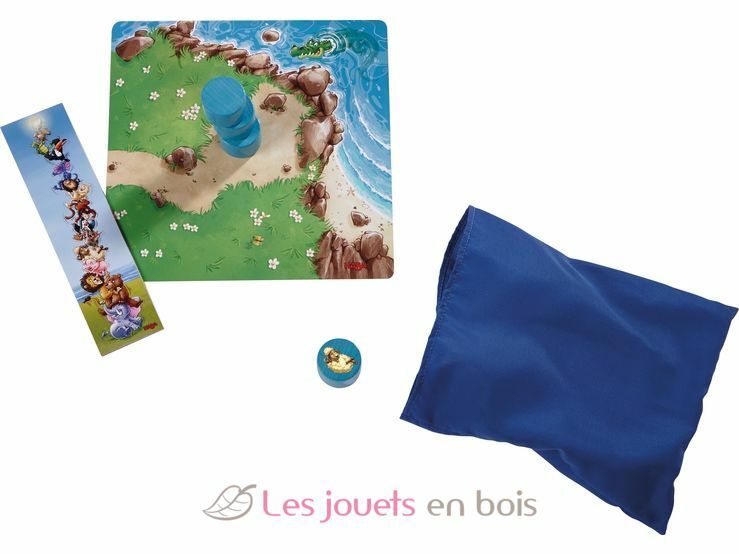 While enjoying a lively adventure to the sea coast the animals discover a lighthouse! The animals think they can create their own animal tower lighthouse with a glow worm on top. So the bear climbs onto the elephant, the lion onto the bear and so on. But the crocodile is offended – he wants to be on top! 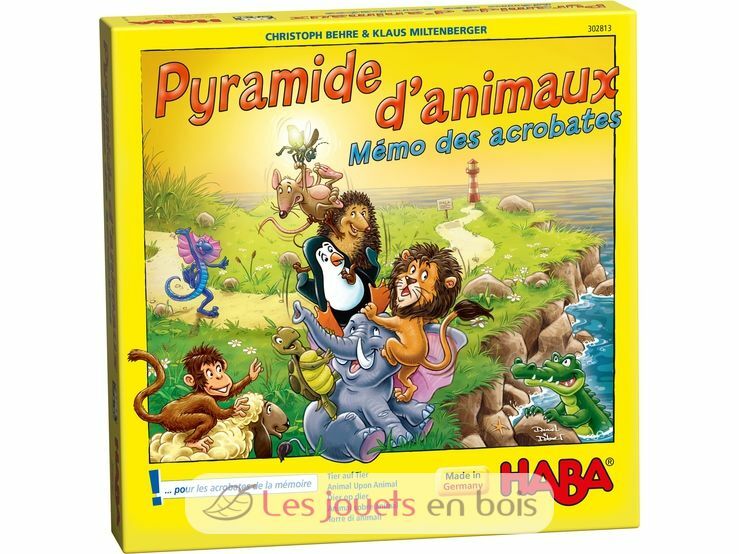 He keeps pushing animals out of the tower and confuses everyone.Who can keep an overview and stack the animals in the correct order? 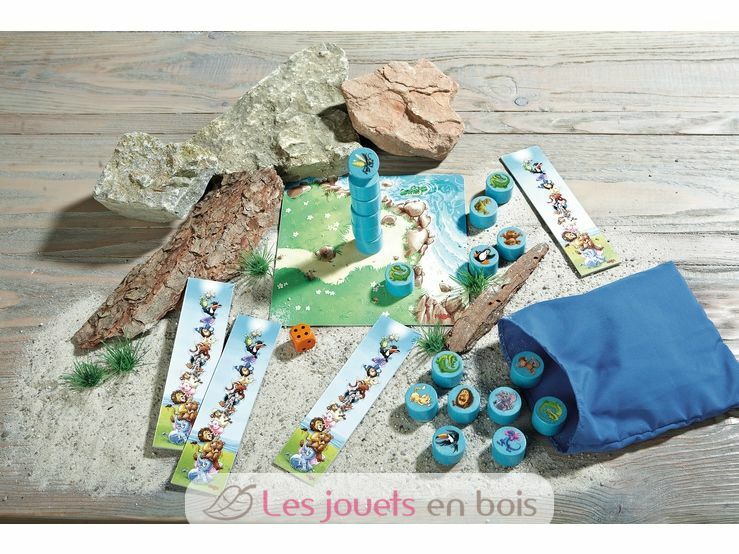 Content : 19 animals (= wooden cylinders), 1 game board, 4 stacking picture templates, 1 die, 1 pouch, 1 set of instructions. 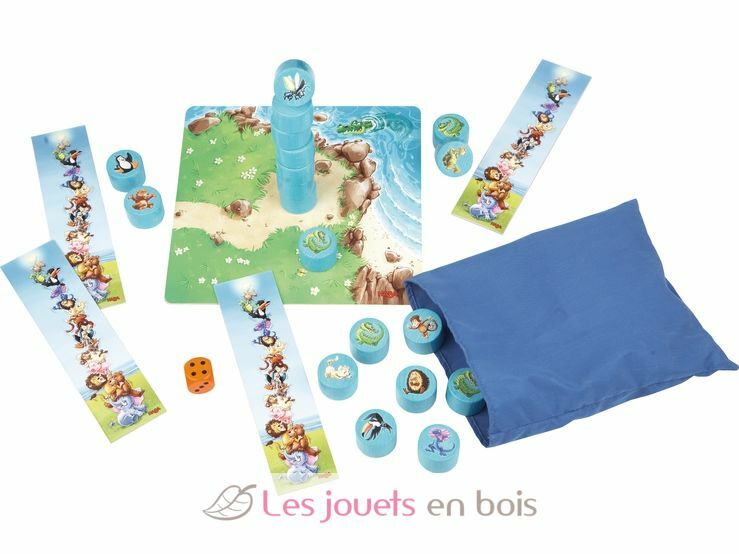 Animal upon Animal – Stacking memory, a game made by Haba, item number 302813.